Or rather, I...have an idea. Ok, so background here. Sooooo my sister Belle and I sit down to watch TSP1982 the other night (I've converted her into a huge TSP/AA fan...what can I say, I'm a terrible influence...) and HORRORS, the disk had a wee crack in it (insert Ally hysterically screaming)! After some fiddling I got it to work and it plays...but naturally I went on the internet to find another copy posthaste before the Damage Becomes Irreversable. I have one of those yellow-covered Chinese bootleg versions which are like, the only version you can get now unless you pay through the nose for an original DVD ($50 was the lowest I saw, with up to like, $150...and if I hadn't been broke I would have gotten it just to have an original DVD. Yes, I would pay that much to have an original. What can I say? I'm a devoted fan). Which got me back onto my 30th anniversary rant. WHICH then I got a sudden inspiration (twas all that Percy talk over the weekend and "One Person Can Change the World" thing). As in, we need to do something about it. Or at least try. "Some things I cannot change, but till I try I'll never know..." Sorry. Don't know how Defying Gravity got in there. TOTALLY off subject. Let us proceed..
From what I read on a comment on Ebay, the dudes that own the copyright stuff went bankrupt or something, and the dudes that bought it didn't renew the copyright, and somehow that had to do with it not being able to be sold on DVD anymore. As you can see I'm really educated on how it all works. Well, actually, that's the Leaguette's job. It may be something that we can't do anything about, but we could all at least try. It's too awesome a film to just end up obscurely on YouTube (and who knows...if they change the policies someday it may not even be on that!). My proposal is, let's all look into what it would take to get TSP1982 back on the market, if that's even possible. I'm not saying buy the copyright or whatever. LOL. I mean like...can we write a letter? Could we get a petition going? You know? Let's get into action Percy style. Again, it may be irreversible and we can't do anything about it...but hey, we tried. So...look it up. Do some research (that's what I'm doing :-)) and come back with your results! Or bounce off ideas. Either way, we can't just let it go down the drain! And even if you're not a devoted TSP1982 fan, please help us. :-) We promise to help you should TSP1934 go down the drain. Or if you're not even a TSP fan...we'll sign a petition should P&P95 ever go out of circulation. Cross my heart. (Ally crosses her heart). So. Into the Fire and all that. I want my 30th anniversary DVD. Ok, so I just posted this on Of Trims and Frills and Furbelows, but several people asked that I repost it here, so I have. 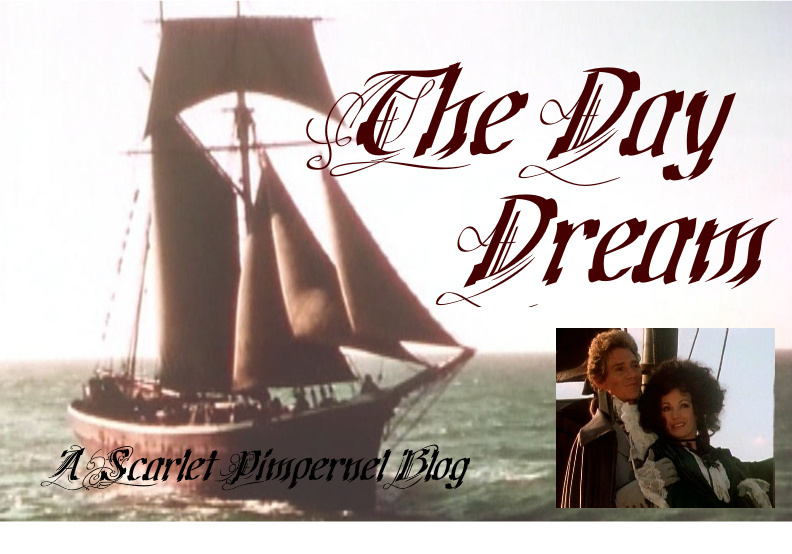 I'm sure that most of you have read it all ready...but at least, hey, if a new Pimpernel fan happens to stumble across the blog they can read it, right? 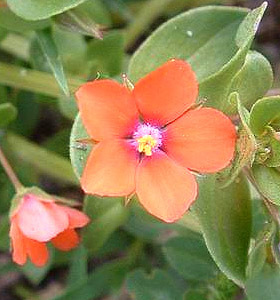 Why do you like the Scarlet Pimpernel? Here’s the answer, for two reasons. One because I never shirk from gushing about My Favorite Subject, and two because since it’s a part of this blog so much, I might as well explain it all. So sit down and prepare for a Deep Post. Because believe it or not, I am quite capable of becoming deep. Yuppers. I shall now proceed to prove it. And a note. I am in no way trying to bash the other fans out there (Janeites in particular) for liking other heroes and stories more than TSP. I understand that everyone has different personalities, likes, tastes, etc. I am only responding to the question and explaining why to me personally TSP is the best. I'm not trying to convert you...although if ya did, it wouldn't be a horrid thing, ya know...hehehe. Growing up I was captured with the idea of the hero that did something. I loved Cinderella, of course, but as I got a bit older the Prince was…kind of lacking. He only just sat there and saw her, didn’t go after her when she left, and sent the duke to find her (I know, in the Disney version). While I was scared silly of Sleeping Beauty, Prince Philip was more up my alley (although those annoying fairies had to help him, argh…), slaying the dragons and hacking his way through to get to the Princess and deliver her with True Love’s Kiss…yup. More like it. 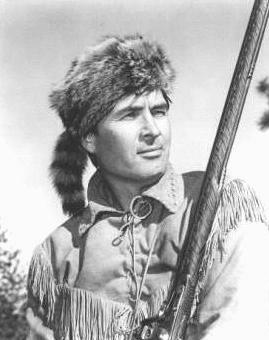 I went on to admire such film gents as Davy Crockett in the Disney film of the same name, who fought Indians, blazed the wilderness, and gave his life defending freedom at the Alamo, and James J. Andrews in The Great Locomotive Chase (both played by my first huge celebrity crush, Fess Parker. I was a gentle five years old…), who went undercover to steal a train, thwart the Confederate’s plans and died for those courageous acts (that was, of course, before my conversion to the Confederates. Also something that is a subject for a whole ‘nother post…so no comment on that, please. Thanks. :-P). As I got older, the heroes in the various war movies that my brothers always thrived on further sculpted my tastes. Having three younger brothers and no sisters until I was ten meant that I was exposed to a lot of “boys heroes” during my younger years. And although I was much too much a prissy girl to become a tomboy, it did whet my appetite for the kind of men that went above and beyond the call of duty. I listened to G.A. Henty books with them, watched war movies, and played the Barbie nurse to their GIJoes, who usually were wounded in Highly Heroic deeds (and I always inserted the – in my twelve-year-old mind – much needed romance angle between nurse and Seriously Wounded Soldier. It’s always been there, peoples…). 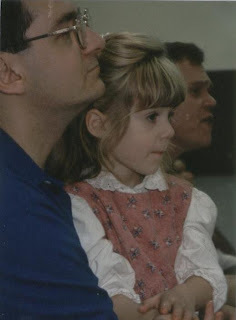 Besides that, my view on what a Truly Heroic Man was like was shaped by the biggest hero in my life, my dad. He was always my hero, and through the years as he would stand for issues he believed in, no matter if it made him “popular” or not (most times the latter :-)), it began shaping the idea in my head that Real Men like my dad weren’t afraid of what people thought. The year I turned eleven, a tragic scandal at the church I grew up in resulted in a huge church split that changed my life forever. When my dad stood up for what he believed in and faced the huge flak that followed, without even realizing it then, it set me on the path of admiring the men who were would be intimidated by nothing, never back down, and never stop standing for what they believed in. That year was the turning point in our family’s journey. It set into motion the events that would send us into the ministry, meeting people and doing things that I never even imagined we’d do. It set hardships in our path and made us closer as a family. But through it all, I saw my dad continuing to stand for right in the face of opposition. I saw him risking his life over and over and over again – something that continues to this day – and never, ever back down. From the ministry to political involvment to defying the traditions of men to get down to what the Bible says, I saw a true example of a real man in my own father. And in my mind, as I grew older and began observing the men around me, it set all those apart. Most men I knew weren’t like that. During my early teens I began the foray into the period drama world with the staple Austen adaptations and others like Louisa May Alcott and Janette Oke’s adaptations – I all ready had been an avid fan of the Anne films…and although I absolutely loved all of those for the romance angle, something was missing. I just couldn’t find that hero – my hero. These men were all chivalrous and manly, to be sure…but there were none of the “willing to march into hell for a heavenly cause” type that I had grown to admire. And then, on the verge of my seventeenth birthday, my parents rented a movie they’d seen years ago and thought I’d enjoy. 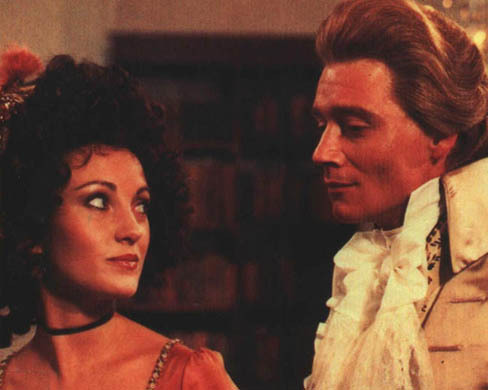 And the minute Sir Percy Blakeney pulled off his wig and fake nose in the 1982 version of The Scarlet Pimpernel, I knew I had found my literary hero. At last, here was someone who did more. He had the romance of the other heroes in spades, but he risked his life and stood for what he believed just like the Real Heroes did. 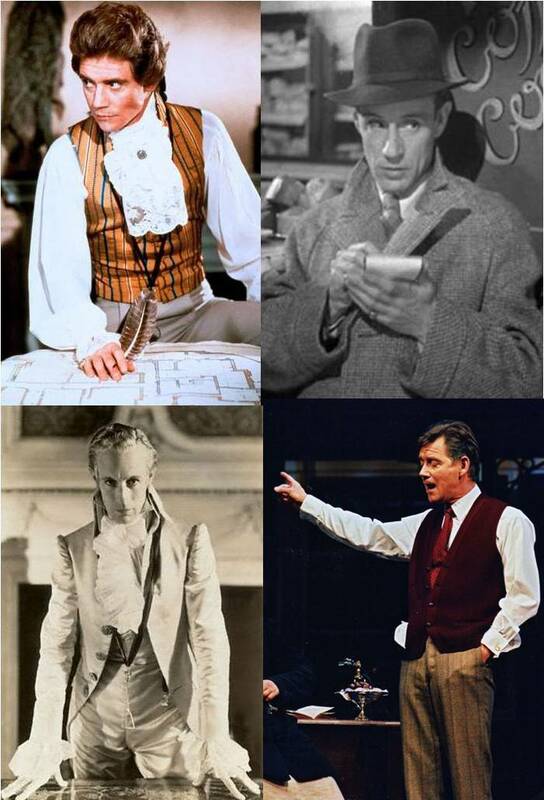 I was instantly obsessed, smitten and otherwise taken (the fact that Anthony Andrews was an incredible actor – and incredibly handsome…cough, cough…had nothing to do with it :-)). Just a few months later I stumbled across the book, and then the sequels as my TSP insanity grew (and believe me, my fangirlness is nothing compared to six years ago). 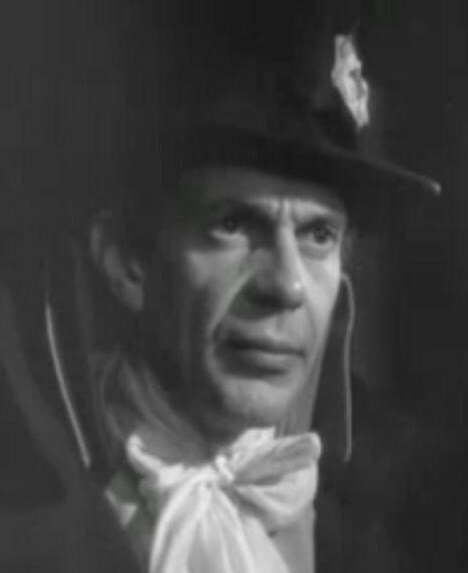 Within a year I was a die-hard TSP fan, and to this day Sir Percy Blakeney is my favorite of all literary heroes. 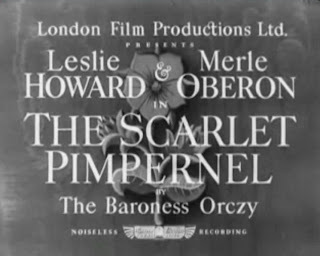 Why do I like the story of The Scarlet Pimpernel so much? First, as I’ve all ready explained, because of the hero. Because of the way he’s strong and courageous and heroic. Because he is willing to risk his life – over and over and over again – for the sake of what is right (and give up his reputation for it, too…what manly guy really likes the idea of being known as a ‘brainless fop’? Seriously, people :-)). And that drive is the idea behind the mission of the Scarlet Pimpernel - that same self-sacrifice ready to give all to the cause. Now, I’m not bashing the other heroes. I don’t want anyone getting that idea at all. We can’t all go chasing after justice like Sir Percy or the real live fellows like Wilberforce or Wallace. And that’s ok. We need men to run the life back home while the Visionary men go out chasing bad guys and fighting for justice. We need the other guys to hold down the fort. So in no way am I going to bash Other People I Won’t Name for not doing all that. I’m sure that were the situation brought up, they’d do it, too (yes, I’m sure they would. I’m pretty sure they would. :-P JUST KIDDING) . So this is not, in any way, shape, or form, meant as that (and not every girl wants the kind of guy, too. Which is nice ‘cuz it leaves the few ones for us. :-)). I've gone into the heroics of Sir Percy enough times on here to not rehash everything all over again. But it's the courage and fearless devotion to what they believe in, who aren't content to just let the world pass them by that draws me to these heroes, Sir Percy Blakeney chief amongst them. Perhaps it's because as I said before, I grew up with that. And it's a part of me. I can't stand the idea of spending the rest of my life doing nothing. True, my life may not consist of daring escapades (really, who in a hundred does?) but as it has been so famously said, "I am only one, but I am one. And I may not do everything, but I can do something." There are so many things wrong today and no one to fix them. If only one person did something, just like William Wallace or William Wilberforce or yes, Sir Percy Blakeney did, what kind of an impact could they make on the world today? Lest you think I will continue on forever about Sir Percy, let me point out that I love TSP not only for the hero, but because he loves his wife so much. Because he and Marguerite have such a beautiful, tender, passionate relationship. It seems to me that most men who have a deep passion for a vision in life tend to have that passion in everything else - including the love they have for the woman in their life. Despite what some people may say (and now I’m quoting my mother, because I have no experience in this matter yet :-P), it is possible to be just as in love as any storybook proclaims, and the love they have for each other is one of the major draws in my love for the story. Part of it, I understand, is personality. While I do love the "sweet" romances in some stories, I'm much more along the lines of a passionate, dramatic romance lovin' person (to quote my kindred spirit Marianne, "to love is to burn, to be on fire..."), and Percy and Marguerite's romance definitely falls in that category. My mushy-scene-loving-soul thrives on their beautiful love for each other. But more than that, I love it because of how much she loves him, and what an incredibly strong heroine she is. "My beloved," he said, "I knew that you would come." And it was that way with Percy and Marguerite Blakeney. And they weren’t perfect…something I really do love. They had misunderstandings and hurts to get past. Marguerite struggled in the beginning with accepting the fact that Percy’s life consisted of risking his life over and over again. She doesn’t always respond correctly, which is encouraging for this so-less-than-perfect gal. But she loves her man and she believes in him. And that’s what I want someday. When it all boils down, I love the story of The Scarlet Pimpernel so much not just because Percy is amazing, because the romance is so beautiful and the adventure is so thrilling. It’s because it’s about someone who wanted their life to count for something, someone who believed they could and helped them accomplish that, and how together they did amazing things, no matter what the cost. And in my deepest heart, that’s what I want to do. My Sir Percy, wherever he is on the planet at this moment, may not do huge things. I’m not expecting that. But a man of courage and conviction and fearless devotion to what is right? That’s what I want. 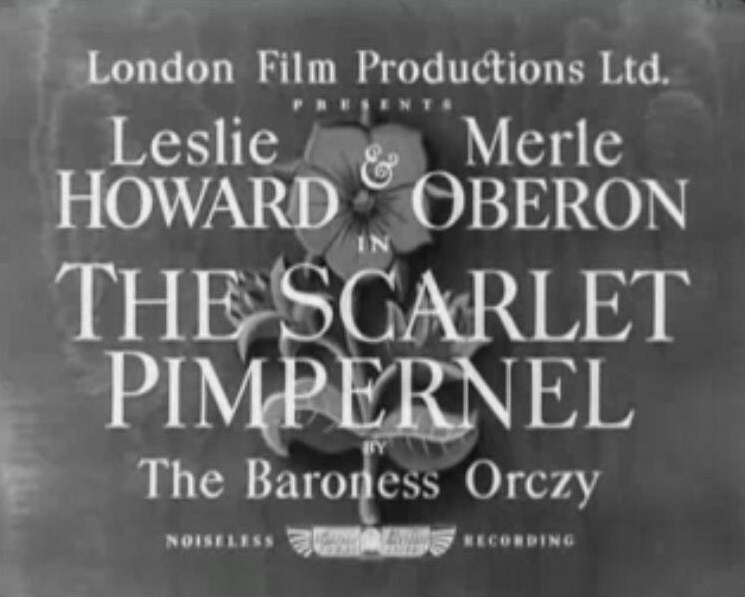 And that’s what I love about The Scarlet Pimpernel. Perhaps it was because I saw his movie first. Perhaps I found him more charming. Perhaps it is because I do not like the others mans false deep voice (though I laugh all the same), and have only seen him with poor quality online. But no. Let us go back a little, but not much. 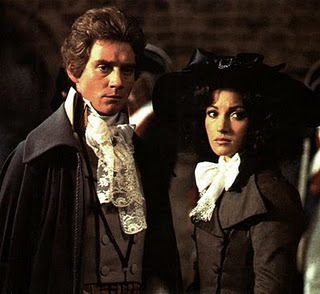 The very first time I read The Scarlet Pimpernel, I rushed through it in two, maybe three days. I devoured the beginning, laughed to the point on insanity, and took quotes like a maniac. My poor brother often heard the sallies of the one, the only, Sir Percy Blakeney, Baronet. The story dashed on, and Marguerite was gripped by the pangs of betraying such a man, and that man being her husband! I felt for the poor girl, as she rushed to France with Ffoulkes. And then she sat hidden in that terrible inn. And she waited. And worried. And felt guilty. And reviewed the situation anew every time the slightest bit of information was received, compounding her own guilt, wishing she could do something, all the while making things worse by being there in the first place. It was then I started my oft' repeated cry of "Marguerite! Stay home! Percy's got this!" This is no insult to her. 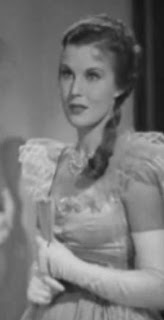 She is a lovely person, despite her tendency to run off (a tendency remedied by marrying off every member of the league to a French woman, and therefore securing a romantic plot) and she has two points that will always endear her to me: First, she loves Percy, and he loves her, and Second, she is not her brother. Then, our French Villain arrived, the end game played out (but not without a rousing round of "Guess Who's Percy!" I won, did you?) and they happy couple, now reunited, sail off to romantic bliss. My eyes were glued to the page until the end, but when the image of “The Day Dream” in moonlight faded, and the soppy grin waned, I found that I was not completely satisfied. There was not enough Percy! And this is where we get to the point. 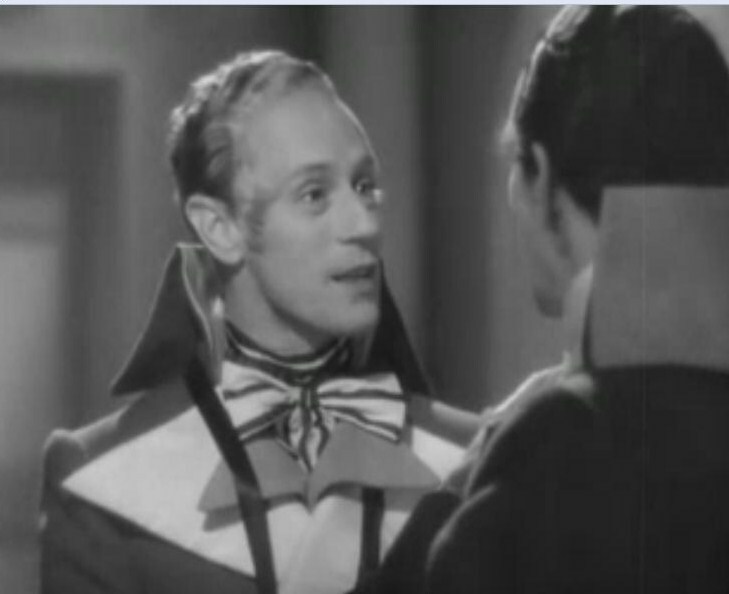 Why do I like Leslie Howard? For the same reason I like Ronald Colman in a Tale of Two Cities. Sydney Carton was a sympathetic man who redeemed himself in the end by dying for his rival in love. Ronald Colman played a man who had natural wit and humor about him along side pain. He was still Sydney Carton, and he still broke your heart, almost more so, for liking him more. Percy is a man not to be matched, but he very rarely shows his real face. A moment, with Ffoulkes, a short speech here, a flicker of emotion there, a famous hurling of a tankard there, and gentle moments with his dear wife. However, these are just moments. The laughs and sallies are all good fun, yes, but they don’t really show one the heart of the man. 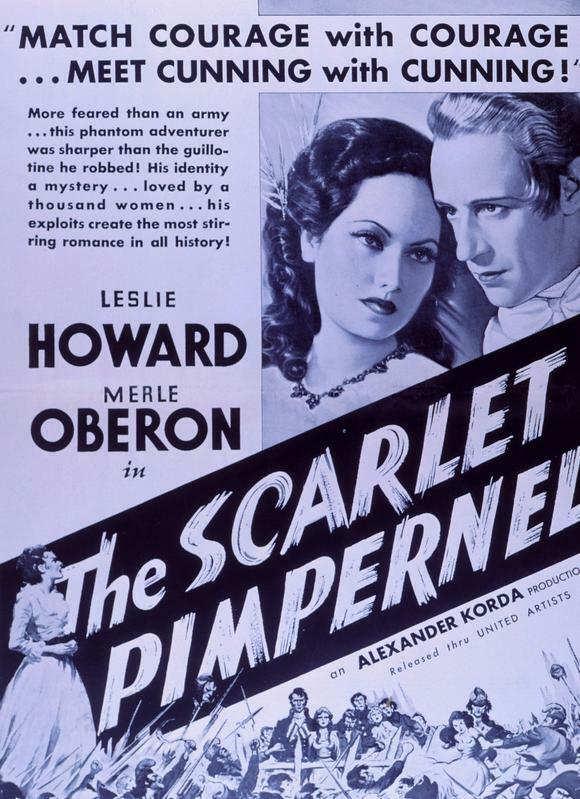 Leslie Howard is not truly Percy, no. 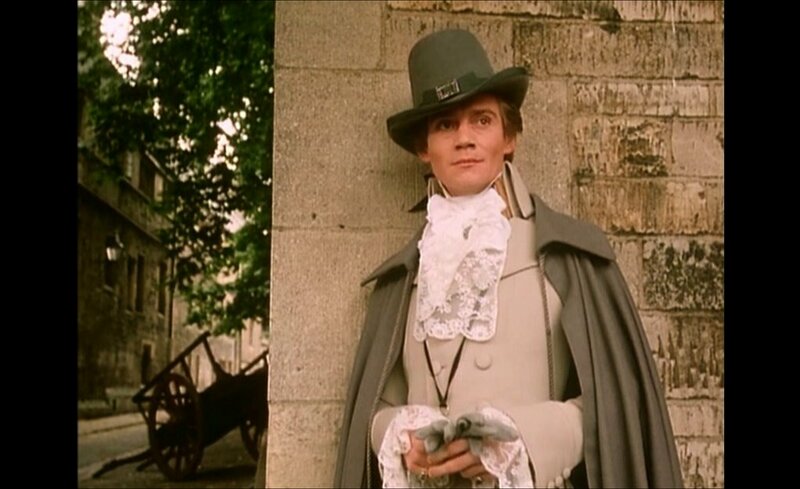 Some will say that Anthony Andrews is Percy. I would not disagree with such a resolute opinion, but say only that it is impossible that any man could be everyone’s image of a character at the same time. 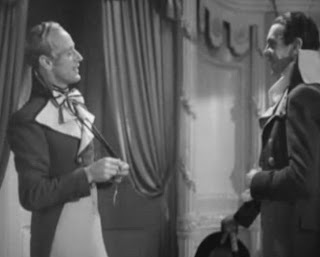 What I mean to say is this: What Leslie Howard gives us is genuine glimpses of the man where the true Sir Percy would give none; not for the other characters, but for us. Examples are numerous: when he blanches after the Prince Regent calls him a coward, as he glows when he tells the French man about his love for his wife, his speech to the League about being fools for a show (that may not count, as being classic Percy), his expression at Marguerite’s dismay, the bit about her portrait, on and on. Not Percy, but one we would wish to see, not for lack of strength, but that he too has faults, and “by opposing end[s] them”. Forgive the black and white for its faults, m’dears, and see it as the chance it really is: Percy from a different light. Did I really just write that in the title box? To let you know what I was talking about I had to, m'dears, but in practice I usually refer to this as the-movie-that-shouldn't-be-called-what-it-is. How do I tell you what I really thought of this film? How do I explain that if I didn't know anything else about TSP this would probably have been one of my absolute, absolute favorite movies? 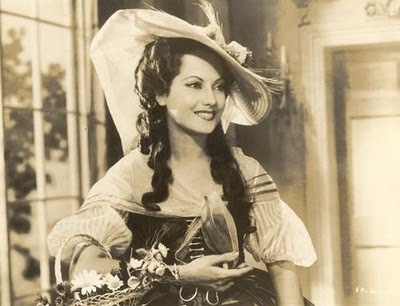 How do I say that while Jane Seymour was perfect as Marguerite Merle Oberon still brought something else to the role? 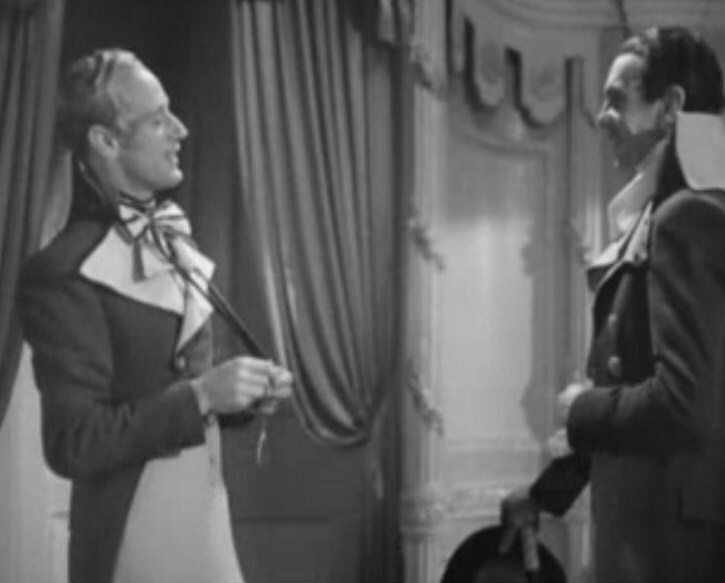 And how can I talk about Leslie Howard as Sir Percy without exploding? Well, since in a movie review you sort of have to talk about the lead, I'll try. But I don't guarantee that I won't explode. 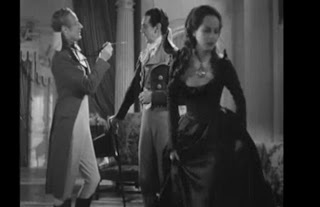 Leslie Howard is quite tall, which is excellent for the role, and rather good-looking, but not as much as he could be. I'll try to blame it on the black and white movie. They may be nice, but they don't make people any more good-looking. He also says 'sink me' which makes me wonder if the makers of this movie were the first ones to think of that. Something to thank them for, I guess. But I won't thank them for calling him Percival. Sir Percival is a random weird knight, Sir Percy is, well, Sir Percy. Understood? One thing that wasn't as good as it could be was his inane remarks. Occaisionally he came up with a witty comment, but most of the time he was the foppish fool, instead of the foolish fop. And yes, there is a difference. Oh wait, I said that when I meant it, but now I think his inane remarks were very good indeed. So see, my opinions can change. But when his mask is off Leslie Howard's performance is quite emotional, which didn't strike me as quite right. 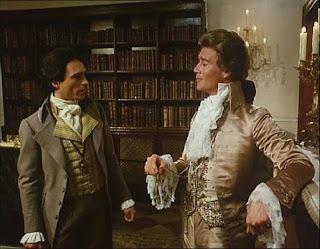 I suppose Sir Percy sometimes shows a little of what he feels to someone like Sir Andrew, but I don't think he'd be parading his feelings to the rest of the League and certainly not to Chauvelin. If he has an extreme in his self-control it's too much, not too little, peoples. And I'd expect him to show a little bit more feeling to Marguerite - y'know when they're reunited and all that? But he doesn't. At least, not as much as I could like. And I would like a LOT, so maybe the problem is me, not him. 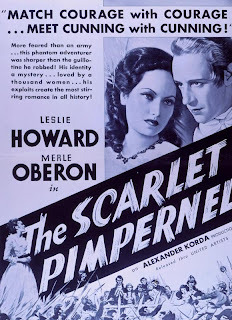 But, now that I've vented my feelings and not quite exploded I'll say that Leslie Howard's performance was quite enjoyable to watch. If you can stop making comparisons (I can't; comparisions are my one weakness!) and especially if you haven't watched the TSP with a certain somebody else you should find it actually delightful. And I mean REALLY delightful. Some of the scenes are done just to a T.
But I had no problem accepting her as Marguerite. She is absolutely gorgeous and (bonus points!) has a beautifully, curled updo while not making it look like an afro. 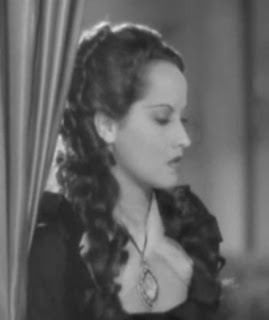 A few of the scenes are done almost better than Jane Seymour's, while the scenes not done as well as they could be are the ones with Leslie Howard in them. I protest, that fellow's a public nuisance. Suzanne de Tournay isn't that much of a main part, but it was beautifully cast. Pretty, rather quiet, and with some of the best dresses in the whole film. You have the cleverest heads in the world. The trouble is, you all seem to go to pieces round the neck. But then, in my 'umble opinion it can't be compared to the 1982 version, so let's just not compare them, 'kay? It had a soundtrack, too. I didn't know before that movies made in the 1930s had any kind of music at all in them, but I was pleasantly surprised. The scenery was tolerable, but, being a black and white movie, it was not as see-able as it could have been. That cravat. Excuse me while I go and gag. "Yes, now look at that thing. Sink me, what a mess. If you really want to know how to tie a cravat I'll tell you. But it isn't easy, mind you. It takes all my brains." "Yes, well you see, first of all the thing goes twice round the neck. And then the front folds back to allow the back to come to the front. Otherwise the front would be all behind as well as before..."
"Percy, what are you talking about?" "You don't follow me, my dear? That's exactly what I say. It takes brains, doesn't it?" Especially that line, "those Frenchies seek him everywhere." Yes, I like that too. Because you see, I hear that they do. And that gives the line a sort of - something - it sort of gives it a - something, if I make myself clear. Clear as crystal, Sir Percy. This movie is completely free of the inappropriate scenes that plagued TSP 1982. It would be totally perfect except for the language which persists in plaguing TSP. But we can't change that, unfortunately. Sooooo the song "The Impossible Dream" from The Man of la Mancha is one of my favorite "Awesome Visionary Heroic Guy" kind of songs, and of course I just had to make a video to my favorite "awesome visionary heroic" guy. :-) Hope you all enjoy it as much as I did making it...I fully admit to "squeeing" several times in the making. I am not ashamed. Neither am I ashamed of the fact that I have watched it nine times since making it. Which was late last night. I am not afraid to admit honest pride in my work. Hehehe. And he just tells her the whole story so that she is compelled to write it down -- and that's how it happens. You may believe it or not-but it's a fact! Just for the sake of the argument (not that there is any kind of argument going on, but for the sake of the argument let's say there IS an argument, okay), I thought it would be good to do a little comparison of the two most well-known portrayals of the famed Sir Percy Blakeney. 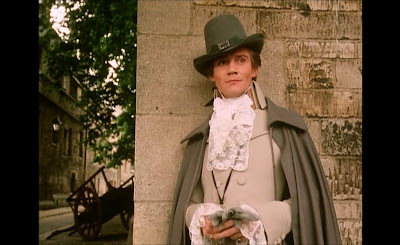 There are those of us who believe that Anthony Andrews completely, totally and unquestionably OWNS the role of the Scarlet Pimpernel. 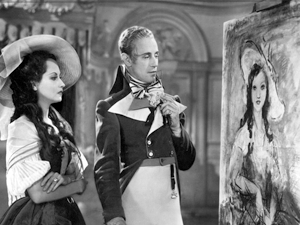 Then there are those who think that Leslie Howard did a better job, but they aren't reading this post. (At least I hope they're not... and if they are, I hope they change their minds. The end.) Anyway, in case you needed proof that Anthony Andrews is The Better Man, I present for you two versions of the Iconic Poem. And now for the piece de resistance, the video you scrolled down to see (because honestly, now, how many of you--besides me--actually watched the above video?) --the Real Thing. Well, don't deafen the poor man (or me, because I'm listening) with your applause, ladies. Really, now. OUCH. Leslie Howard and Anthony Andrews, who have both appeared as Sir Percy Blakeney in the 1934 and 1982 films respectively, have also both shared the role of Professor Henry Higgins, Leslie Howard in the 1930's film Pygmalion, and Anthony Andrews in the West End production of My Fair Lady in 2003. ...is not "orc-zy", but "ortsey". I have been mispronouncing it for quite some time now. Oh, the shame! Her full name is technically Emma Magdolna Rozália Mária Jozefa Borbála Orzcy de Orczi (what a mouthful!) However, she often went by Emmuska, which means "little Emma". Pronounced "em-moosh-ka", by the way. And no, as her name suggests, she was not of English birth, but Hungarian. "Marguerite bowed her head in silence. There was nothing more she could say, no plea that she could urge. Indeed, she had understood, as he had begged her to understand. She understood that long ago he had mapped out the course of his life, and now that the course happened to lead up to a Calvary of humiliation and suffering he was not likely to turn back, even though, on the summit, death was already waiting and beckoning with no uncertain hand; not until he could murmur, in the wake of the great and divine sacrifice, the sublime words, 'It is accomplished.'" This book defines the word "epic". Now, I'm one of those people who doesn't like to overuse the word "epic". I get annoyed when it's used to describe everything, from pool parties to carpet shampoo to dog treats. I overuse the word myself with astonishing frequency, but I am also one of those people who contradicts herself a lot, so bear with me, 'kay? Where was I? El Dorado. Right. If you've seen TSP82, you already know part of the story of El Dorado. 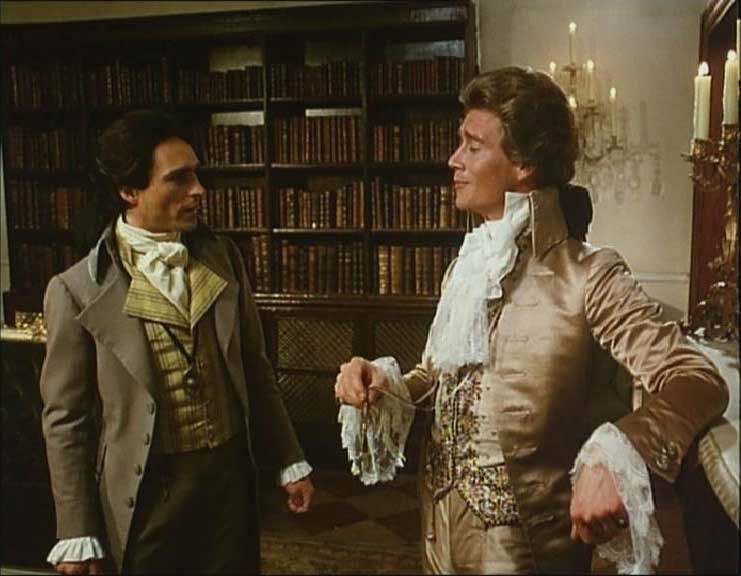 The movie was based on two books-- El Dorado and the original novel The Scarlet Pimpernel. The movie, IMHO, combined the best of both books and even threw in some elements that weren't in the books (but were epic nonetheless). But this isn't a review of TSP82. It's a review of El Dorado. And it will abound in spoilers. Just so you know. 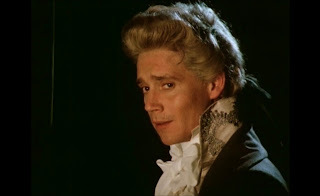 Armand, of course, made a great mistake in disobeying Sir Percy (if you're reading this blog, you already know that Sir Percy is the Scarlet Pimpernel, right?) and his punishment doesn't take long to arrive. The Baron de Batz, an emissary for the Austrian government and concerned only with lining his own pocket, reports Armand to the Committee of Public Safety--namely, to Citizens Heron and... are you ready for this?... Chauvelin. Cue the music from Jaws, please. Now, I am one of those unworthy beings who actually--gulp--felt sorry for Chauvelin in the movie. Yes. I did. But you can put down the rotten tomatoes now, please, because this book changed my entire viewpoint. Because what Chauvelin does in this book makes me ready to jerk him off the page and strangle him. Literally. I hate this guy. Hate is a strong word, but Chauvelin is a strong bad guy. He has to be, to be able to capture Sir Percy. I mean, hello. Oops. I just gave away a rather important little tidbit of the plot, but perhaps this will serve to tantalize you into reading the book. :) Yes, you read that right--as a result of The Reckless Armand, Sir Percy gets captured and dumped in the Temple prison. I'll wait while you run for your smelling salts. Got them? Okay, we'll proceed. Suspenseful? Yes. Heartbreaking? Yes. Sob-inducing? Yes. Amazing, wonderful, knock-your-socks-off, use-up-a-whole-box-of-tissues-ish? Yes. Incredible? Yes. Sir Percy Blakeney at his ultimate and absolute best? YES, YES, YES. Just... go read it. Right now.